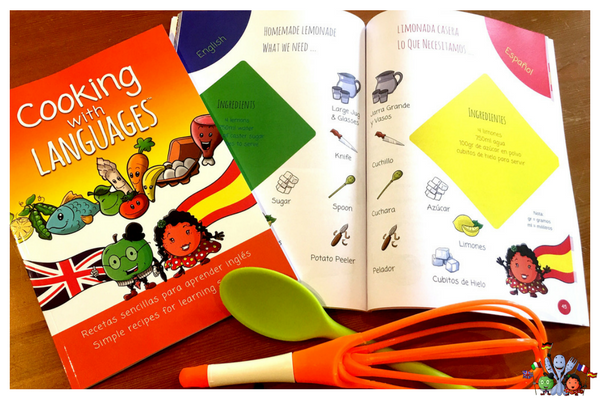 A printed version of our bilingual Activity Cookbook. 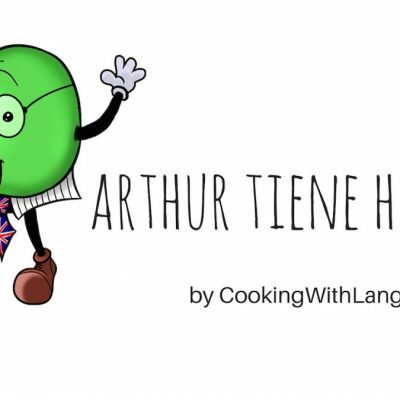 84 pages of fun language learning materials for English and Spanish learners. 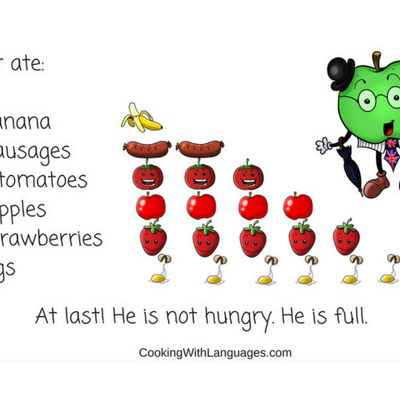 A great book for young language learners! Buy your own high quality bound and printed version of our bilingual Activity Cookbook, to share and enjoy with all the hungry young language learners in your life! The best learning experiences don’t feel like anyone is being taught – they happen naturally through exploration and curiosity. 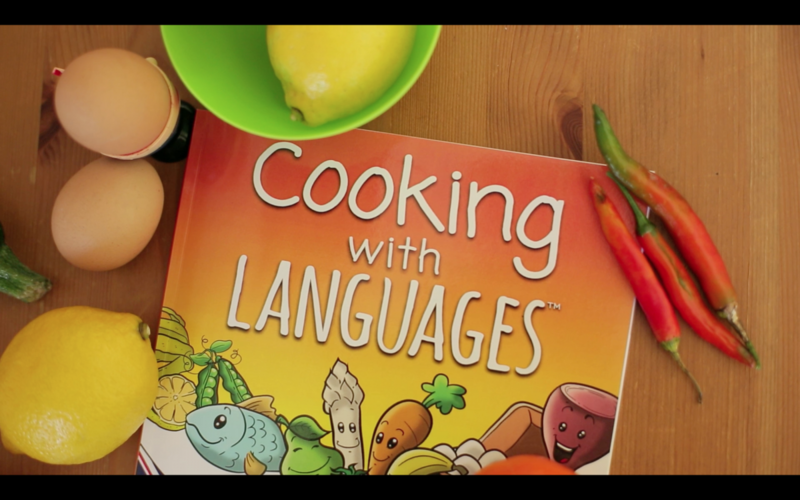 Connecting language learning with the fun sensory experiences of cookery will reinforce retention and creativity, whilst teaching English and Spanish words for ingredients, materials, procedures, colours, numbers and more. 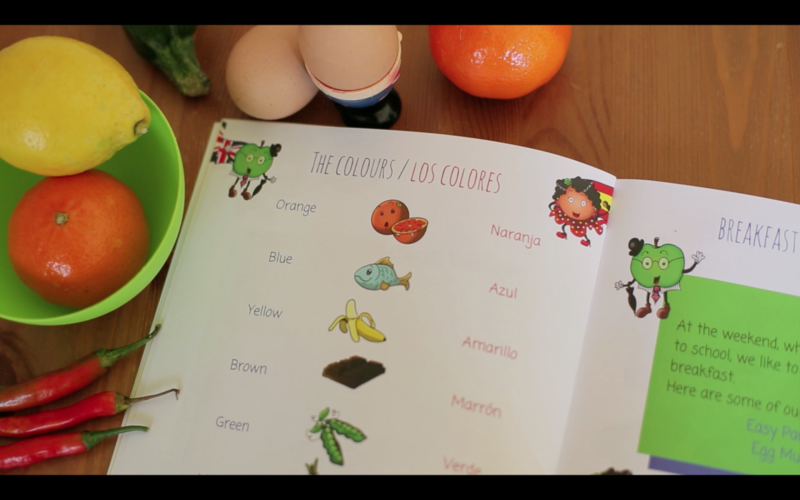 Our colourful characters Arthur Apple and Narea Naranja help you explore regional foods and traditions, and encourage experimentation and fun as you go along. 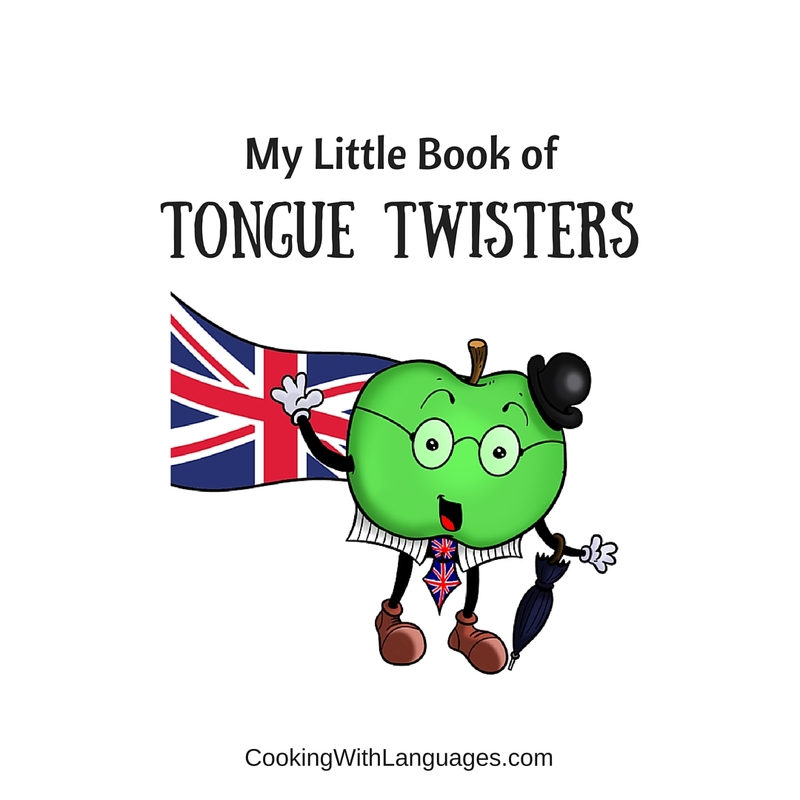 A superb present idea for grandparents, aunties and uncles – as well as giving the gift of learning to your younger relations, you’re planning fun shared activities to enjoy together on your next visit. 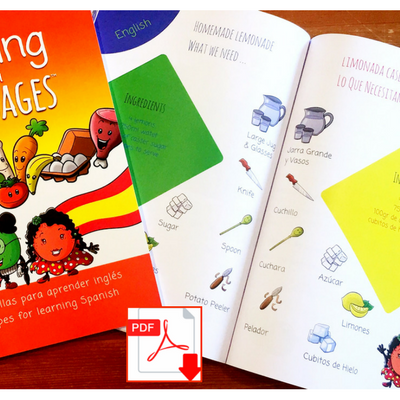 DON’T FORGET to send us photographs of our materials in your classroom or place of learning. We will share them on our Facebook and Instagram pages. 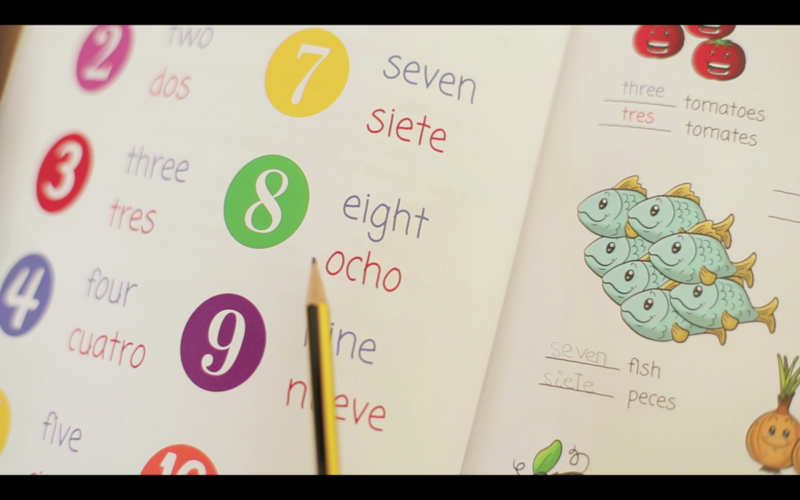 The best photographs will have the chance to win some free materials!